Are You Prepared Should Disaster Strike???? I’m sitting here watching the coverage of Hurricane Sandy and I’m in awe of the power of this storm! 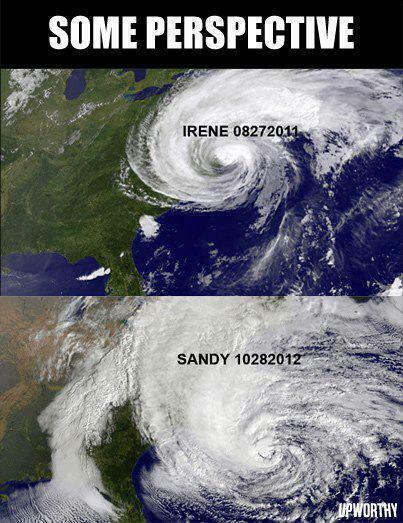 A friend of mine on FaceBook just posted this photo and it gave me some perspective when the weather folks talk about Sandy as compared to Irene… This storm is massive and that’s an understatement!!! I know it’s not expected to hit Wisconsin, but I tell you… it’s got me thinking about being a bit more prepared!!! Do we have oil for the oil lamps??? Do we have enough oil lamps? How about a store of water for the livestock until electricity is restored to run the well? What about a generator to power the well, the freezer full of beef, essentials that need to run until power is restored. What about a snow storm or an ice storm that took out the power in the winter? How would we heat this house without power to run the fans on the furnace or the blower on the gas fireplace? I certainly know it’s time to consider a wood stove to replace the gas insert in the fireplace! So many thoughts are twirling around in my mind. So many thoughts and prayers being sent out to those in the throws of the storm this very evening! So, what do you have set up for preparedness? Do you have a way to care for your homestead should disaster strike? Whether it is a hurricane, an ice storm or the snow storm of the century… how will you ensure your homestead survives safely??? 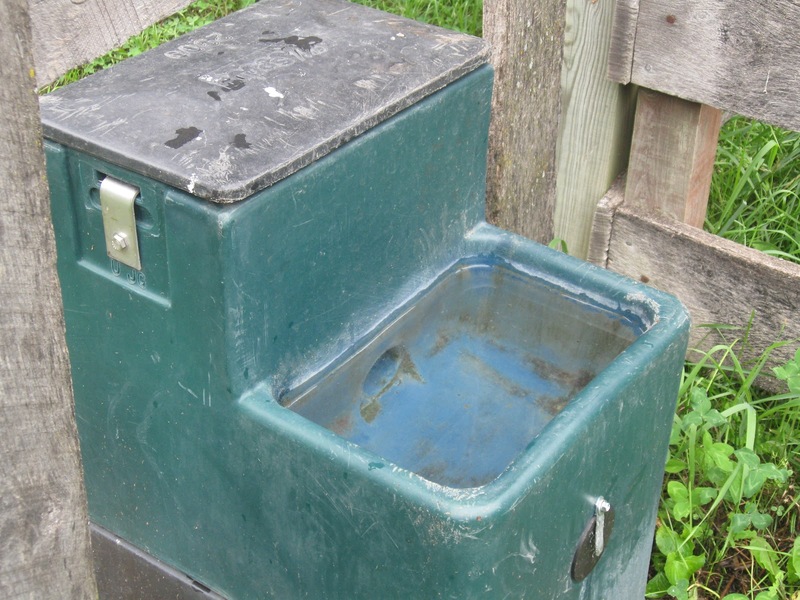 This entry was posted in Homesteading, How-To, Preparedness on October 29, 2012 by Homesteader's Supply. It is a beautiful fall day on the new homestead out here in Wisconsin. Rain has been falling for the last two days and the temperatures are cooling down to the mid 50’s during the day and mid 30’s at night. The leaves are now brilliant shades of yellow, orange, red and browns. I took these pictures about an hour ago to share how the barn floors are working out and had to share this one of Do out in his pasture. Now, about the barn floors. We kept the sand we’d ordered in and moved over 7 yards of sand to build up the two big box stalls and a center stall between the two box stalls. The stall that the horse uses needed much more build up and was like walking on a beach. Each step was quite a bit of effort so we talked to some folks, did some research and finally decided to go with a friend’s advice to add shavings to the sand. This firmed up the footing tremendously!!! It’s super easy to keep clean too. We bought a 10 tine manure fork and the sand / shavings drop through and the manure, whether cow or horse, stays on the fork. Clean up takes minutes per evening, especially when they spend so much time in there on these rainy days! 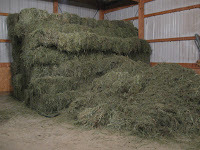 We added a total of four bags of shavings to the horse stall and two bags of shavings to Cookie cow’s stall. Her stall required about half the sand as what was needed in the horse stall. We have less than half of the sand pile left and when it dries out a bit after these rains, we’ll bag up 2500 pounds into sand bags (we bought 50 bags which will hold 50 pounds each) We plan to hang onto this for future projects and will toss a few in the back of the truck for traction this winter. I do believe we will call this sandy learning experience a success. The urine drains down well and dries up quickly while the barn still smells of pine bedding. We’ve done some other small projects over the past few weeks. We trimmed up several trees that were weighed down by heavy, low level limbs. We also got our hands dirty with some plumbing projects. My brother is out visiting from Arizona and showed us how to sweat copper fittings with flux and soldering. We had two valves that wouldn’t completely turn off and he gave us a DIY plumbing lesson on changing out the valves to a better type of water valve. The project was a leak free success! Now, we are all ready to enjoy a home made pot of chili that I made earlier today along with some fresh corn bread! Happy Homesteading and I hope you enjoy the pictures below! The horse stall with shavings mixed into the deep sand base. Here is the other end of the horse stall. We have rubber mats down for him to eat his grain on. Here is the other end of Cookie’s box stall. She’s been bedding down in here at night now that it’s cooler. Here is Cookie in Do’s stall (they were both in here) waiting out the rain today. 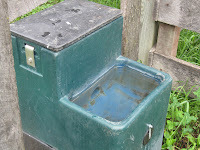 This entry was posted in A New Homestead, Homesteading, How-To on October 14, 2012 by Homesteader's Supply. 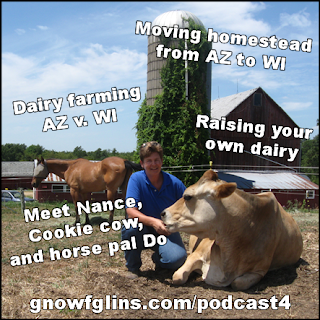 Homesteader’s Supply Featured in Podcast with GNOWFGLINS! The folks here at Homesteader’s Supply enjoy Wardeh’s work at GNOWFGLINS very much. She does an amazing job on her e-courses and podcast which help other homesteader’s learn the lost traditions of food preservation, cheese making and all things homesteading! Wardeh recently invited both Jerri and myself (Nance) to be a part of her teaching endeavor! I was featured a couple of weeks ago in a Podcast on raw milk and keeping a family cow. Wardeh and I had a great conversation about our move from Arizona to Wisconsin and how all of us, including Cookie cow, handled the move. We talked about cheese making a bit, but more about how to keep a cow healthy and why we put all that work into milking a cow twice a day! You can hear the podcast by clicking on this link or on any of the photos of me below. 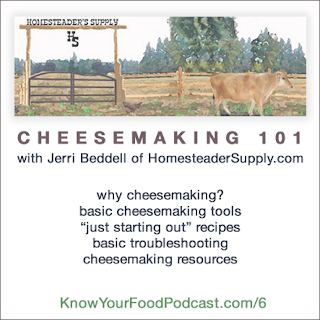 Jerri was also featured this week on Wardeh’s podcast discussing cheese making and the “Ultimate Cheese Press” manufactured by Homesteader’s Supply. They talked about why make your own cheese? How to get started with some easier recipes and how to troubleshoot when thing go wrong. Listen to Jerri from her home in Arizona talking with Wardeh on this Podcast. We hope you enjoy the podcasts and welcome any feedback you have! This entry was posted in Cheese Making, Dairy Cows, Homesteading, How-To, Raw Milk on October 6, 2012 by Homesteader's Supply.